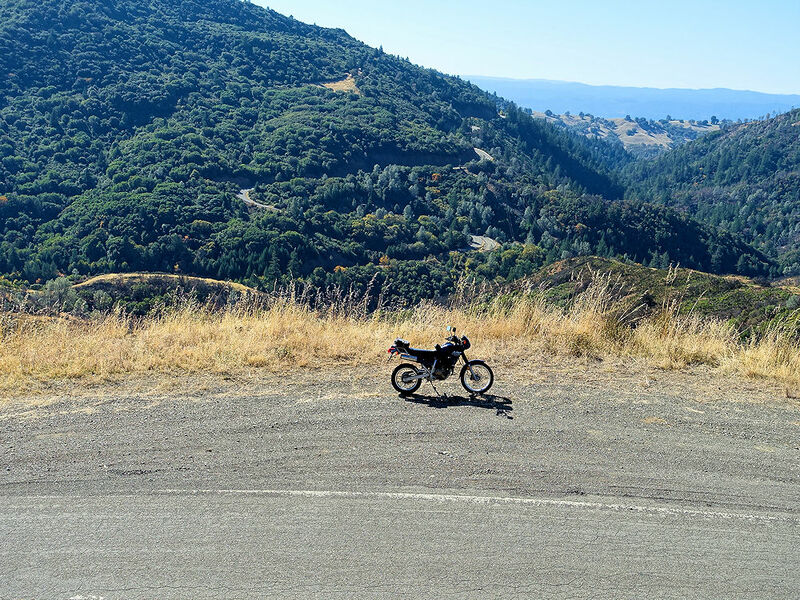 Discussion in 'Ride Reports - Day Trippin'' started by Spurlock, Oct 27, 2018. 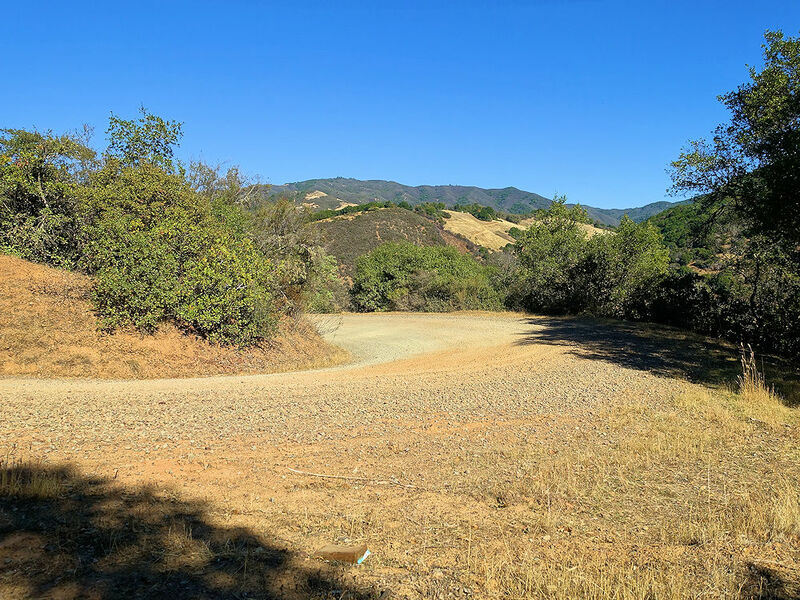 This time of year I'm yearning for two things - the first rains to settle the dust and end the fire danger, and the welcome appearance of fall color marking the end of late summer's drab foliage. 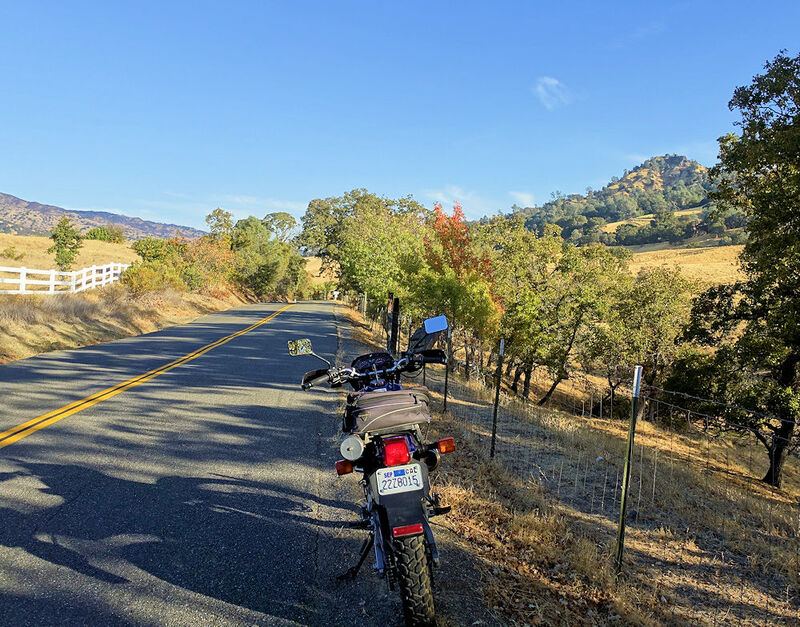 But with no rain in sight and hungry for a long ride I decided to take a 240 mile late summer look around some favorite riding areas, dipping into five N. California counties along the way. 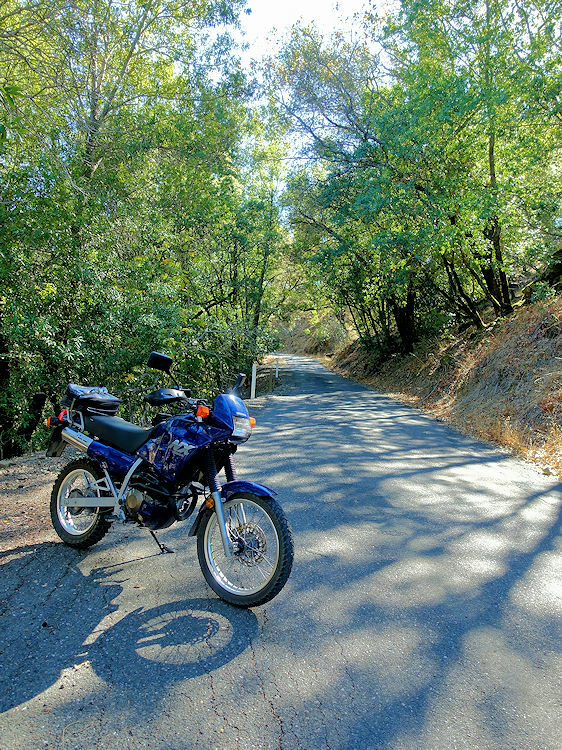 The gravel of Old Toll Road east of Hopland was on my agenda so the nimble little NX250 was my bike of choice. 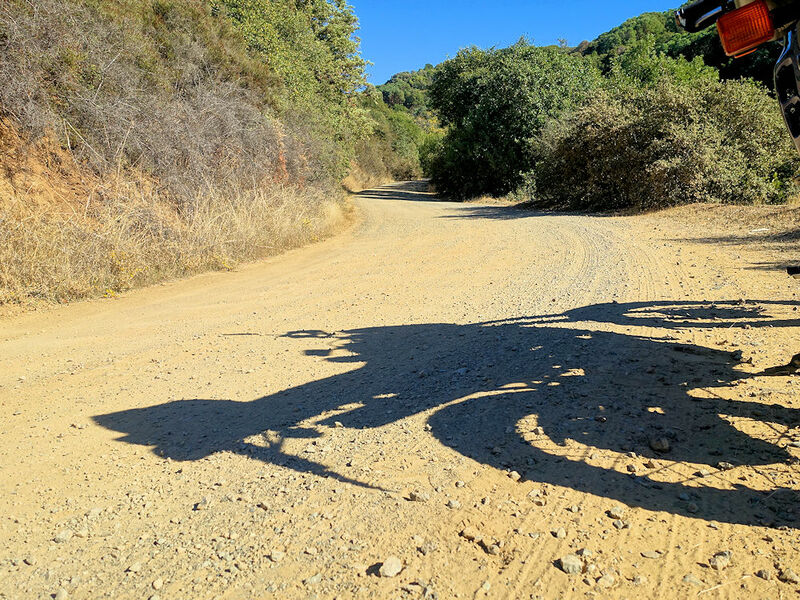 On a cool Thursday morning I headed up Pleasants Valley Road enjoying the long shadows and peacefulness. 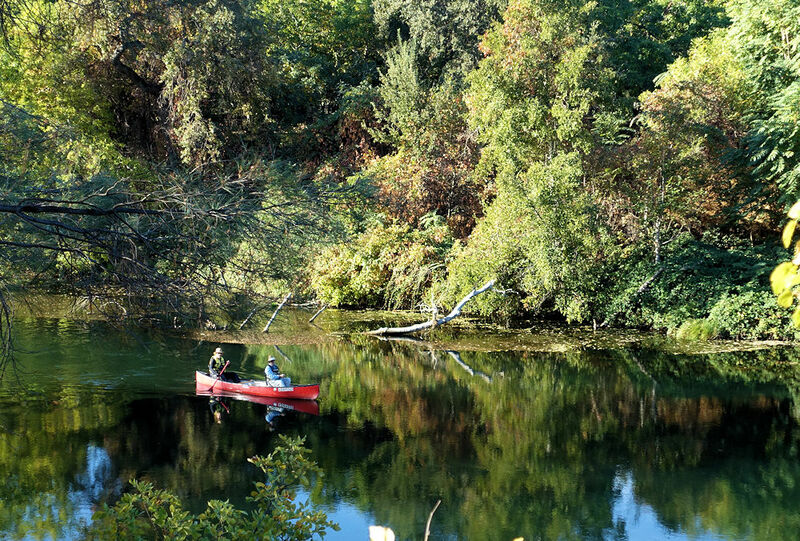 The placid waters of Lake Solano and Lake Hennesey reinforced my goal of taking it easy and enjoying the scenery. 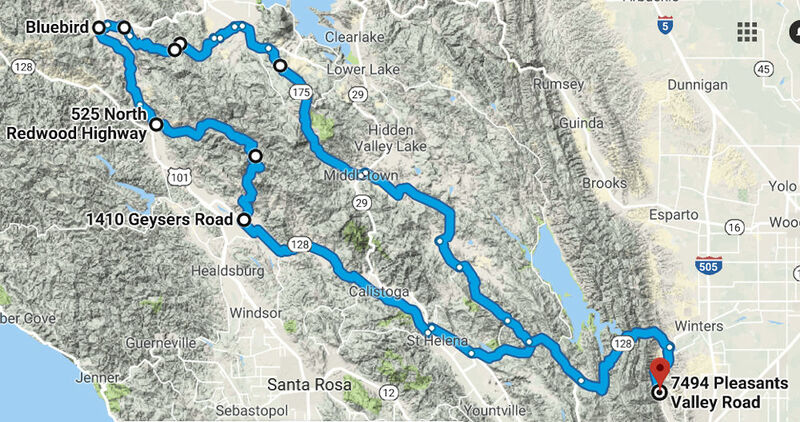 Dropping into Napa Valley, Silverado Trail took me past endless vineyards and wineries. 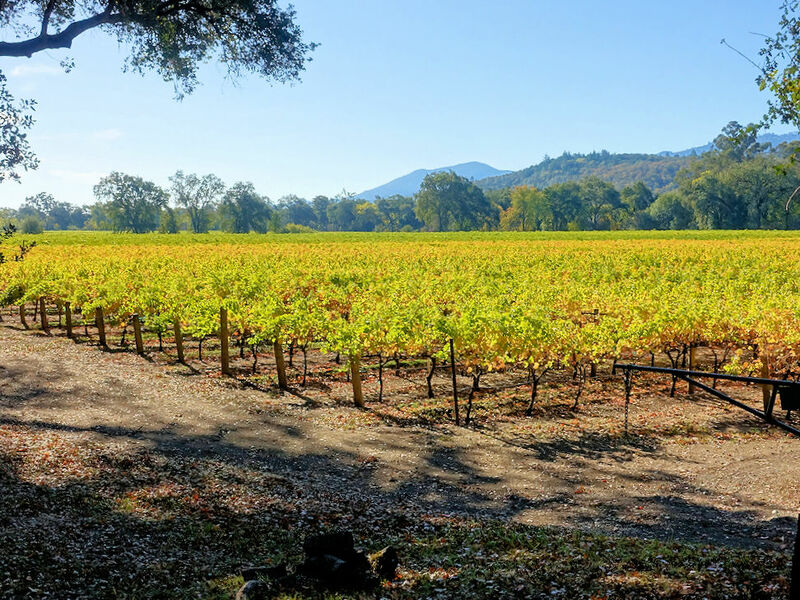 It's harvest season so the air was spiced with the perfume of fermenting grape juice. Peak foliage color is a couple weeks away though. 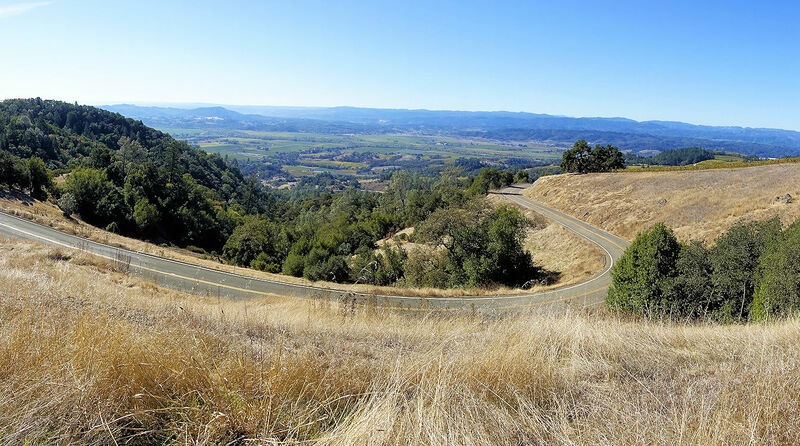 I followed Hwy 128 past Calistoga as it wound through the beautiful Mayacamus Mountains and into Anderson Valley. 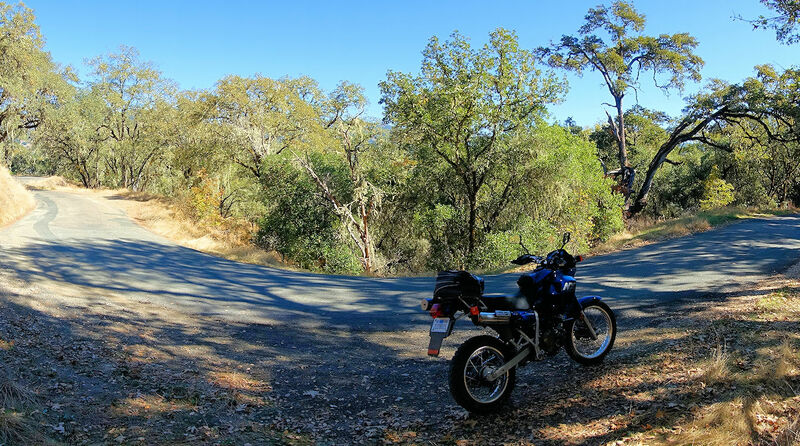 Light traffic, wonderful scenery, and twisty tree lined stretches kept me grinning. 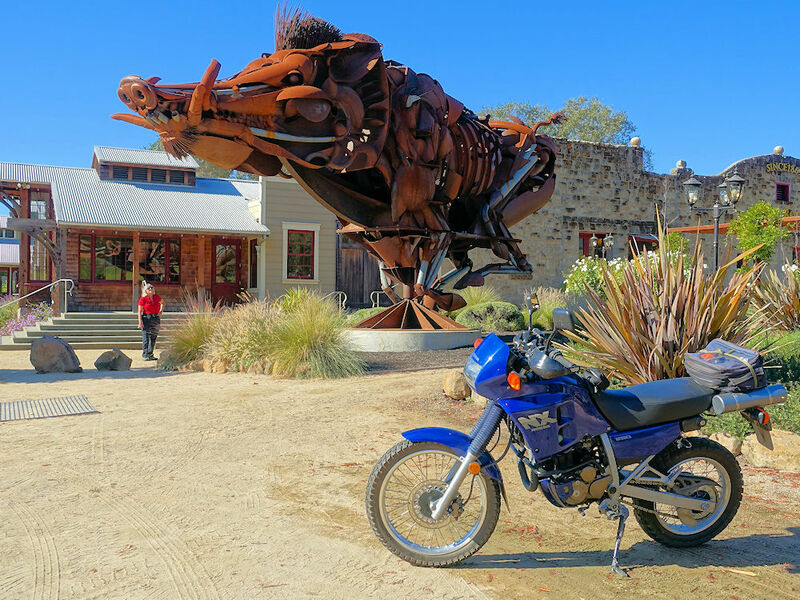 Heading north toward Geyserville I had to stop once again for a photo op of the big boar sculpture at Soda Rock Winery. It's quite the beast. 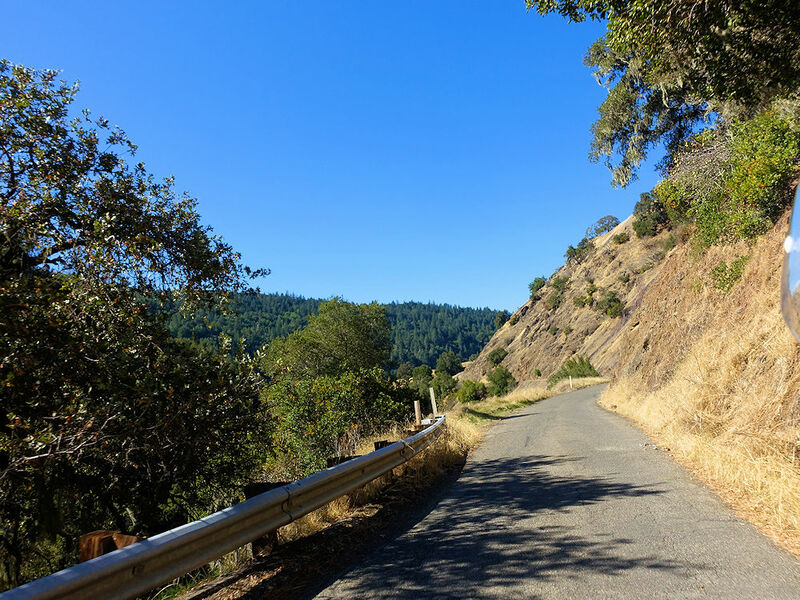 About half way through and after a steep descent the road changes personalities to funky single lane. 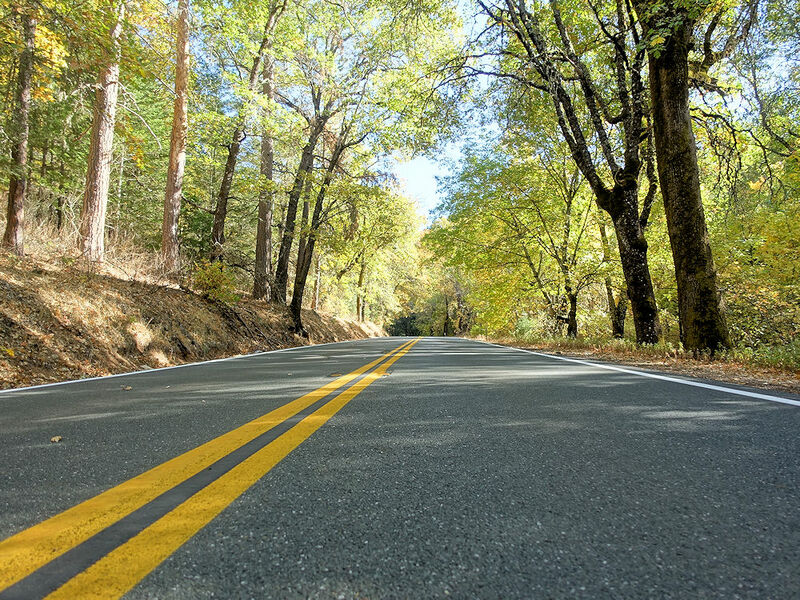 I have the road all to myself as it meanders along Big Sulfur creek. 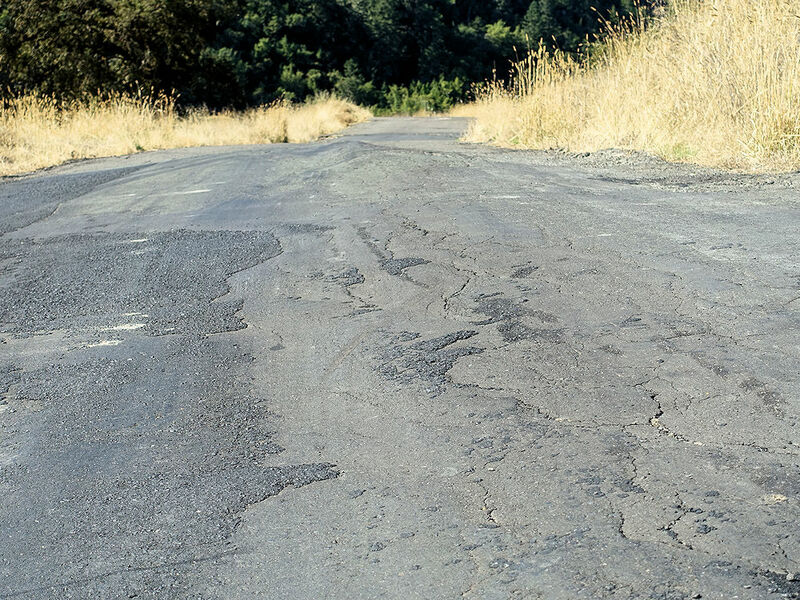 Near the end the road alternates between decent two lane and post-landslide single lane with plenty of surprise whoop-de-doos that will launch the unaware off their seats. Reaching Hwy 101 at Cloverdale I headed north for a hearty lunch stop at the always-enjoyable Bluebird Cafe in Hopland. travial, Muscongus, riderbrad and 2 others like this. 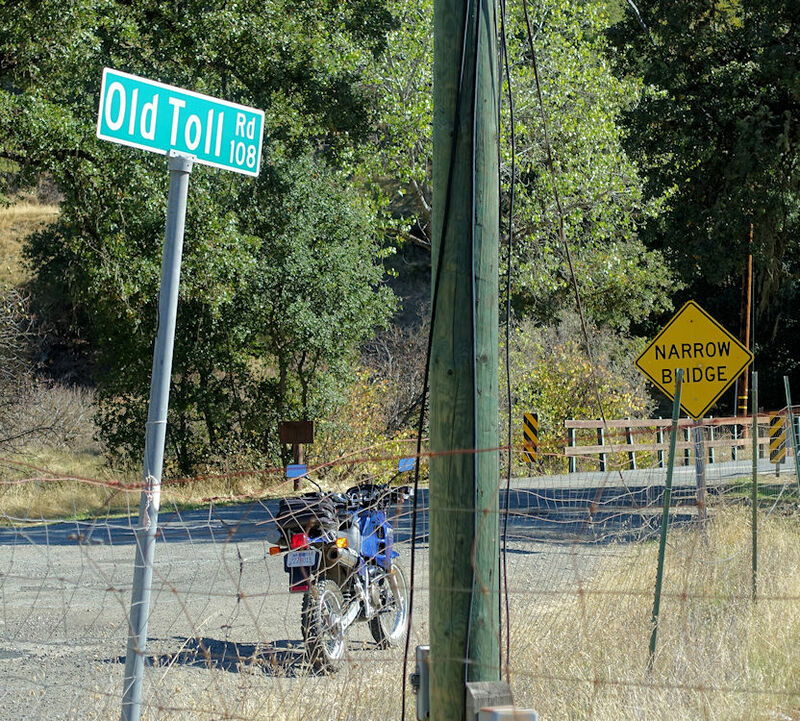 With both me and the bike refueled I headed east on Hwy 175 and turned off on another all time favorite, Old Toll Road, 22 miles of remote riding pleasure, mostly gravel. 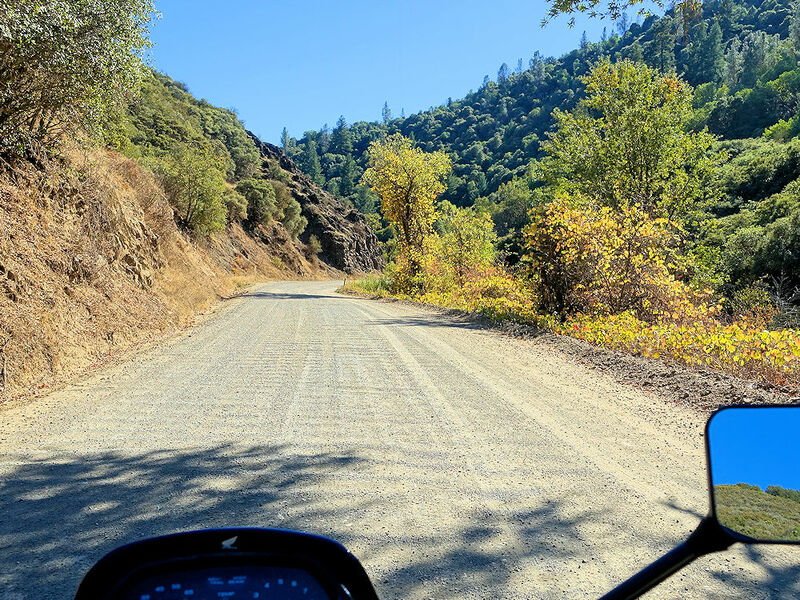 After a couple miles the primitive pavement turns to gravel and I begin a climb back over the Mayacamus and back toward home. Reaching a summit the road descends towards Clear Lake, eventually settling down to follow a canyon along Highland Creek. 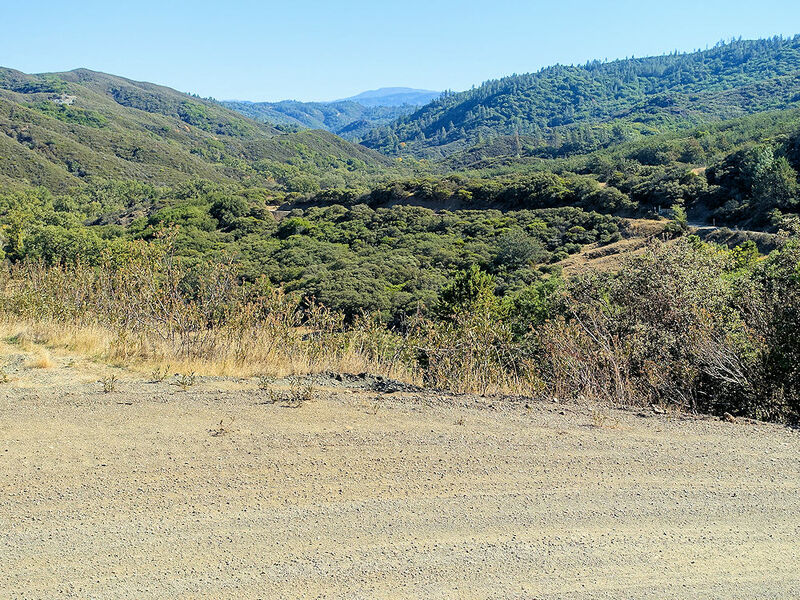 Reaching Kelseyville I head east toward home on Hwy 175, my saddle sore 69 year old backside was complaining but my heart was happy. Life is good. AZ Mark, dammitdave, Muscongus and 6 others like this. 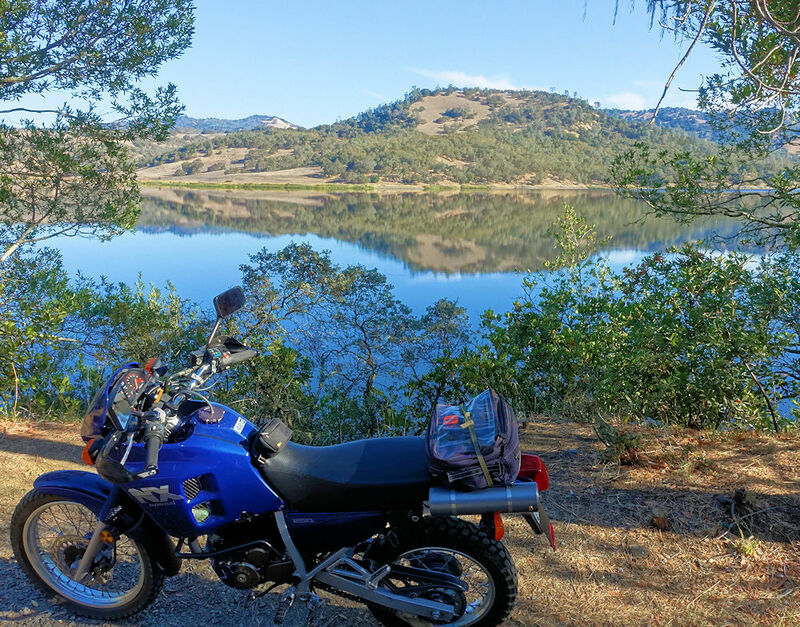 Beautiful ride thanks for sharing. You’ve got a great way with words and your camera! Thats some groovy stuff there. Much enjoyed thanks! Nice pics - if you are looking for rain, come on out east. 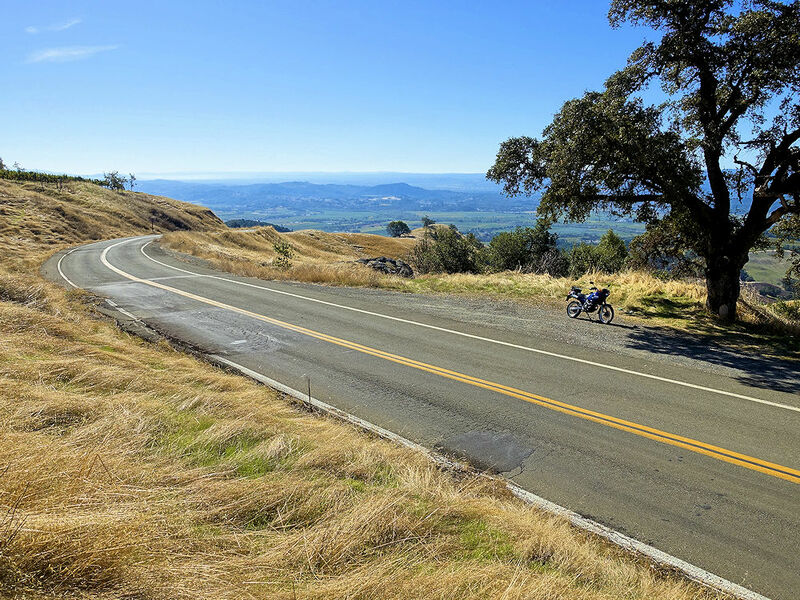 So glad to share the bounty of great roads in our area! could reintroduce it today and sell a bunch I think. 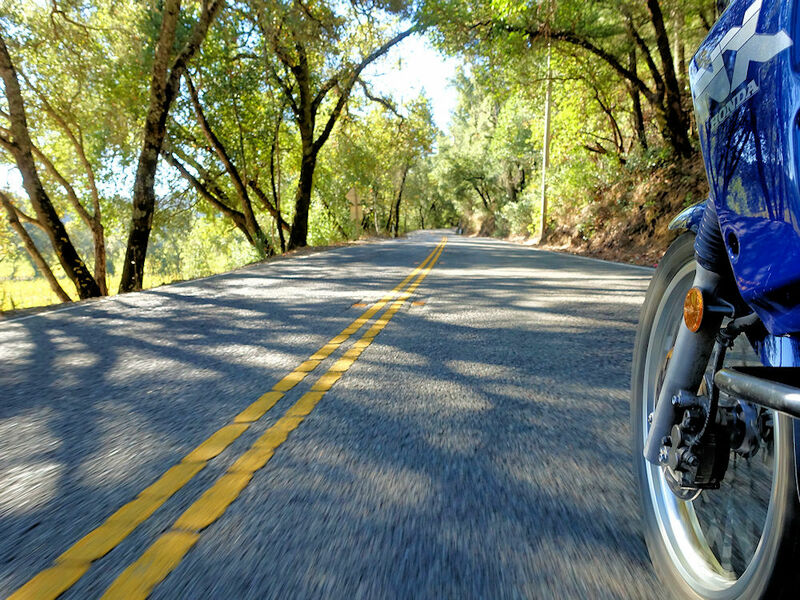 Fine report, like the photo from under the bike, I must try that! cheers. Great rr and pics ! Great inspiration to be riding the ripe young age you are. I hope I'm blessed and fortunate enough to still ride when I approach later years in life. 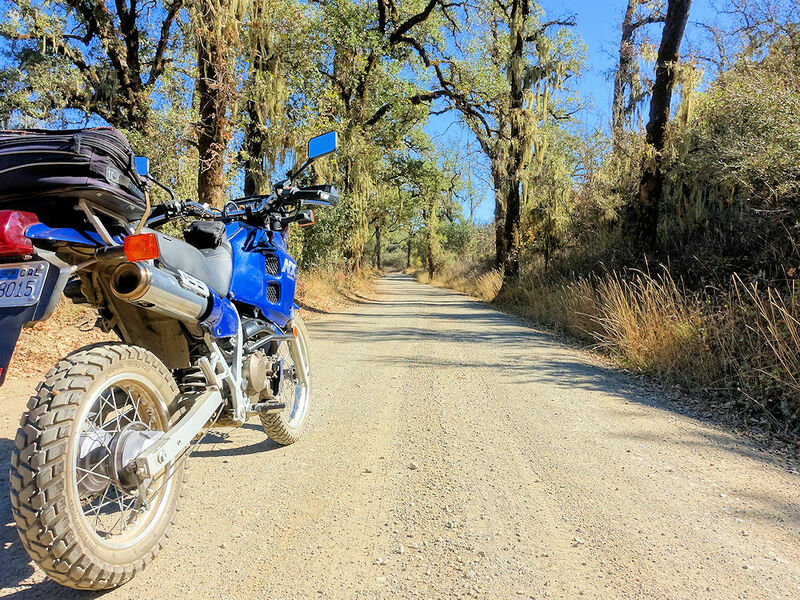 Keep on riding! I have seen the Geysers Rd. turnoff on 128, never took it but I will now. 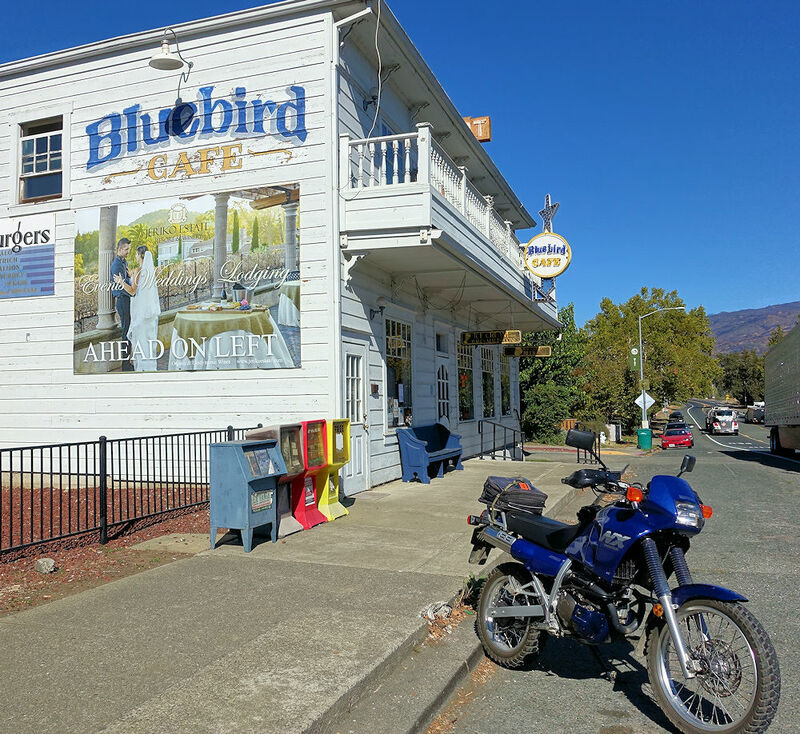 Every time I pass thru Hopland there is at least one or more bikes at the Blue Bird café. 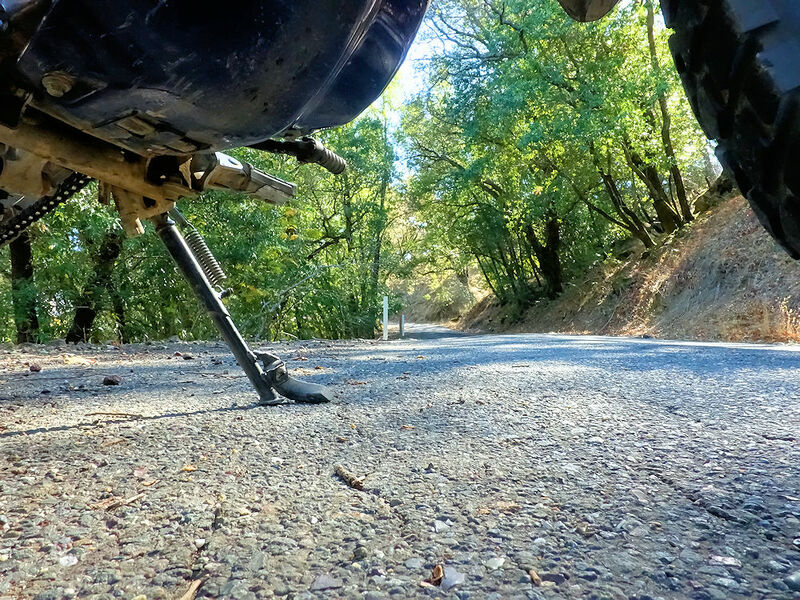 Thanks Spurlock another set of roads to try next time out. Love that part of California. You are lucky to call that your back yard.